Our proposed house-move to the sea is *still* in the "proposed" stage, so we drove to Broomhill Sands today to walk by the sea. It was odd seeing snow on the beach, seashells just look WRONG in the snow! Weirdest of all was seeing the tideline in snow, in the next photo you can see the wavy line where the sea reached. I don't understand why the snow hasn't melted. The council puts salt and sand on the roads to clear the snow - and surely seawater is salty? Why hasn't it melted? Where's Professor Brian Cox when I need him to explain stuff? Well now, how completely odd is that? LOL ... pretty pix tho. 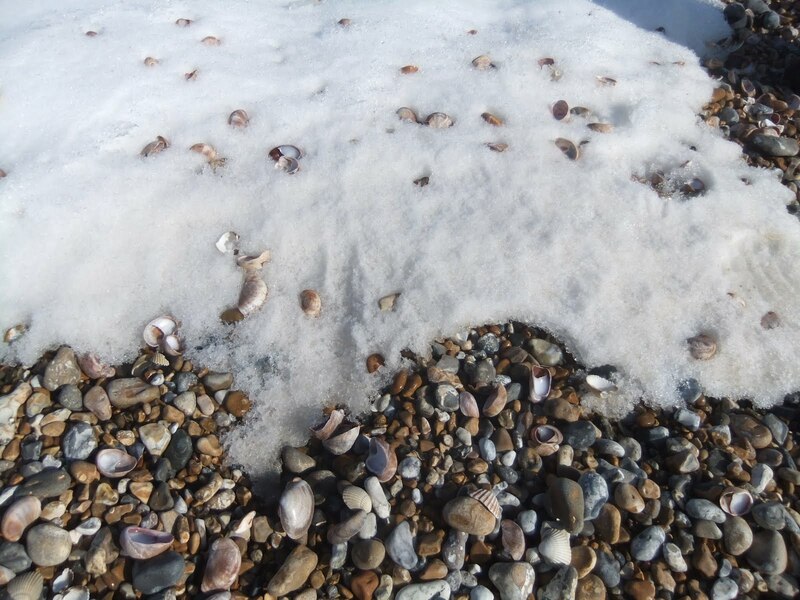 And yeah I would imagine seeing seashells in the snow is ... odd. 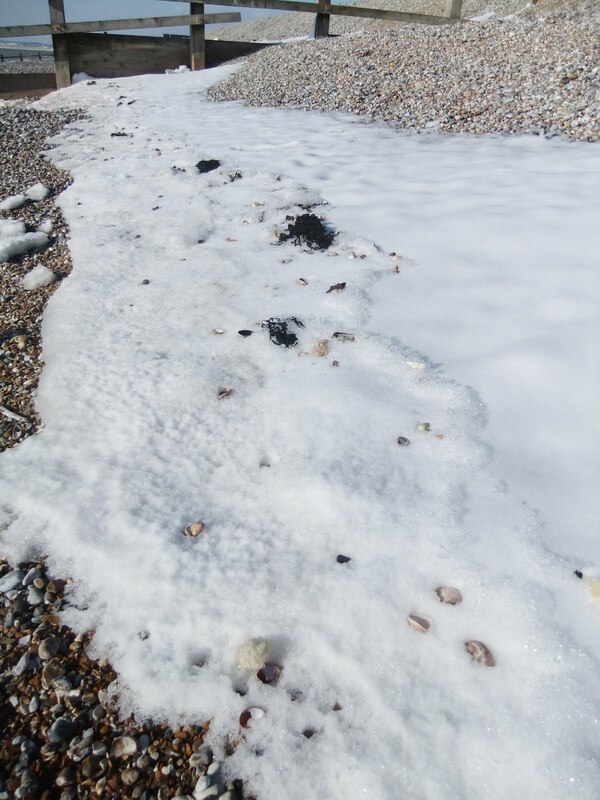 oooh, as for the tideline (sorry missed that bit)... the cold salt water comes over the frozen fresh water. The temp of the salt water is not warmer, so it doesn't melt the frozen fresh water entirely - clearly just enough to wear away a bit. It won't mix with the frozen fresh water accept at the surface where I'm assuming there might be a slightly more ice-like surface? From the cold salt water slightly melting where it meets the fresh water, but then the tide/waves moving out too quickly to melt it more than just the surface. Think of licking an ice cube. Warmer tongue melts the surface, but not the whole ice cube. The warmth doesn't have time to reach more than the top layer, which does melt. If you were licking the ice cube in cold enough air, the melted surface of the licked ice would refreeze once your warm tongue moved away (like a wave). oh that makes sense Tina, thank you! 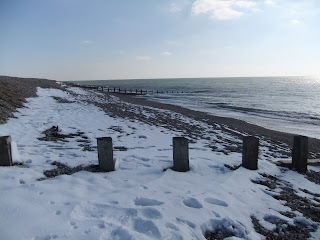 the surface of the snow which had been reached by the sea did look icy.